The Beach Star Hotel is an all-inclusive family friendly 3-star hotel located at the beautiful Megali Beach of Sidari in a peaceful locality just across the beach. A top favourite with families for its fabulous outdoor pools and one especially for kids, the hotel features a restaurant, a poolside snack bar and magnificent views of the beach and surroundings. Well-appointed studios and two bedroom apartments, elegantly furnished, invite guests to relax in ultimate comfort and explore the scenic landscapes of Sidari. Sidari in Corfu is widely popular for its exciting clubs, music bars and pubs with a sizzling nightlife all the year round. 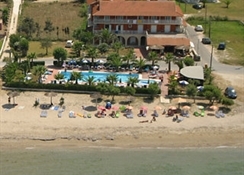 The hotel is located just 400m from the city centre of Sidari and 200m from the nearest beach. The seaside resort is known for its picturesque beauty and charm on the North West part of Corfu. Growing popular from its fishing village days, it saw a construction boom in the 80s and is now home to several resorts, hotels and apartments to suit every pocket and taste. It is full of clubs, music bars and pubs, that offer a great nightlife and remain open till the wee hours, to small tavernas and quiet bars that serve delicious Corfiot dishes. The main beach of the resort is a Blue Flag. Nearest airfield, Corfu International Airport is 40km away. 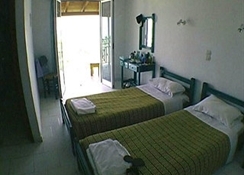 Beach Star Hotel offers a total of 25 rooms. Rooms at the hotel are divided into Studio and Two Bedroom apartments at The Beach Star Hotel. The well-ventilated, spacious rooms offer comfortable accommodation facilities such as en-suite bathroom with shower, safe deposit box, direct telephone line and balcony. The rooms have a balcony or terrace, where guests can unwind with a drink during warm summer evenings and provides amazing views of the Mediterranean. 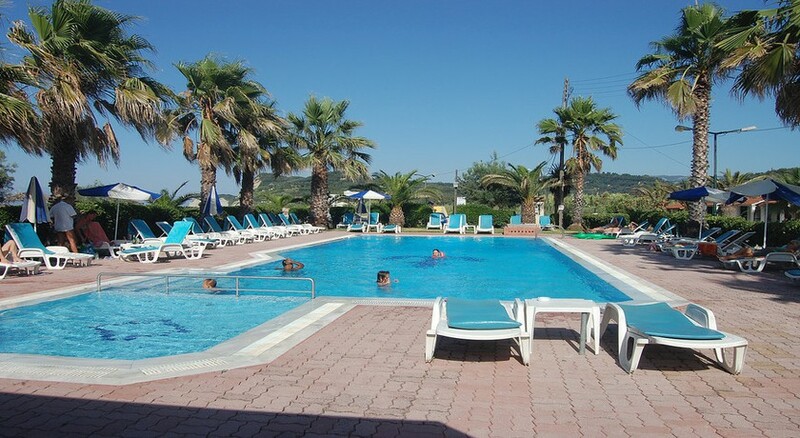 The Beach Star Hotel has a restaurant which serves delicious Greek and international cuisine. The poolside snack bar serves light bites, drinks and beverages. The hotel is 10 minutes’ away from good restaurants and bars where a wide range of cuisine British, Greek, Mexican, Indian, Italian and international are available. The Beach Star Hotel has a swimming pool and kids’ pool and terrace where guests can soak up all the sun. 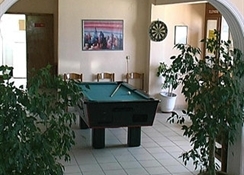 The hotel has facilities for Billiards. There’s a TV room is available to all guests as they can watch TV and relax. My stay there was selfcater, 3 ladies ground floor apartment , clean beds changed twice in 7days , on the beach front beautiful view. Again in September. Fantastic hotel staff were friendly and helpful was a wonderful place to be. Beach star is great value for money, fantastic quiet location at the edge of the resort but didn’t feel far from anywhere. The staff were friendly and helpful. The beach is immediately opposite the hotel, just beyond the pool and palm trees, and if you get a sea facing room the views are amazing. The view from rooms facing the back are not great.